DIGITAL SMART LED INDICATOR: The implicit LED indicator presents precise battery percentage. It’s engineered with high precision NC, software IC, high brightness LED display, and see-through 0.001mm surface. VIBRANT COLOR DESIGN: Fashionable design of Classic Polka Dot surface and refreshing colors, enhancing grip and preventing smudges and fingerprints. FAST SELF-CHARGING IC TECHNOLOGY: Automatically adjust the current and voltage, speeding up the charging efficiency up to 90% while discharging efficiency is 92%. With 5V 2.1A input, it can fully charge in just 6.5 hours – which is HALF the time of the common external battery at 13-14 hours. 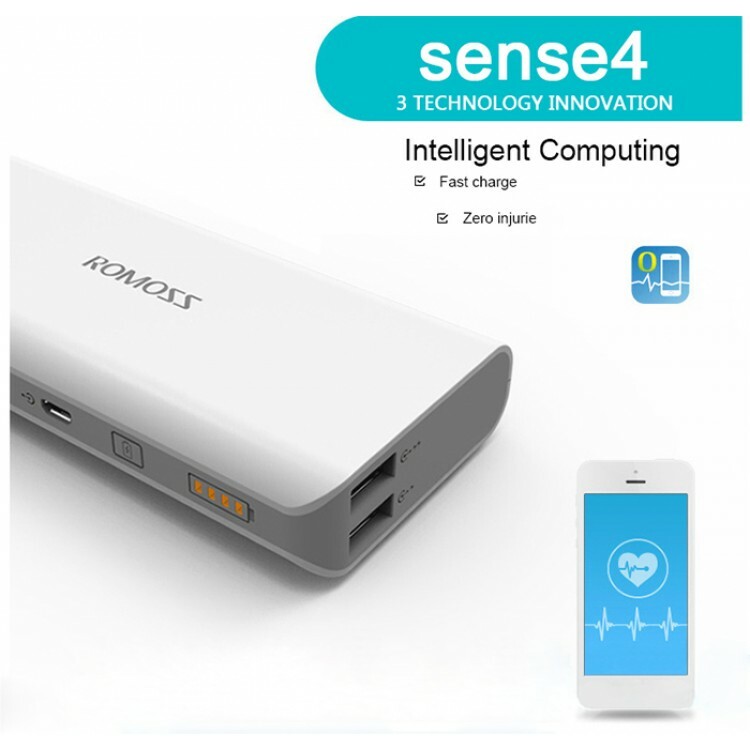 High Capacity: Smart Dual USB output (5V/1A and 5V/2.1A) can charge any two devices at the same time. The power conversion rate can reach up to 85%. 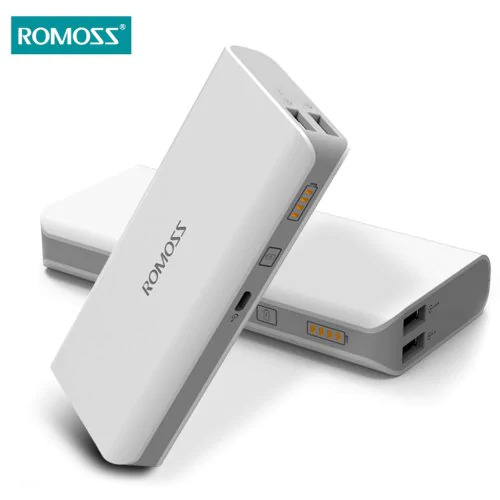 What You Get: ROMOSS 10400mAh power bank, Micro USB cable, user guide, 12-month warranty and friendly customer service.